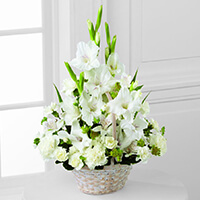 Provide comfort for the family of Larry Campbell with a meaningful gesture of sympathy. Larry, 76, of McDonald, Robinson Twp., died Saturday, December 22, 2018, in St. Clair Hospital. He was born October 10, 1942, in Oakdale, a son of the late Wallace and Hazel Sawhill Campbell. Mr. Campbell was a member of McDonald Presbyterian Church and was retired from Haveloch Commons. He enjoyed hunting, fishing and spending time with his grandchildren. Surviving are his children, Tammy (Leo) Czarnecki of MD, Tracy Baxter of McDonald, Larry (Kristina) Campbell of Midway, Darla (Shawn) Gallagher of Muse; grandchildren, Joey, Jessica, Christopher, Benjamin, Drue, Dakota, Taylor and Riley. Also surviving are his sister, Joy (Richard) Snatchko of McDonald, and his brother, Donald (Dorothy) Campbell of Carnegie. He was preceded in death by his wife of 51 years, Karol Tolin Campell (1-22-2017) and brothers, Bud and Jim Campbell. Friends will be received Wednesday 12 Noon – 6 p.m. in the Thomas-Little Funeral Service, Inc., 314 W. Lincoln Avenue, McDonald (724-926-2800) where service will be held at 6 p.m. Wednesday. 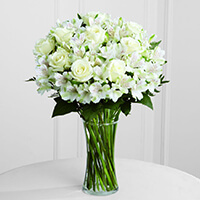 To send flowers in memory of Larry D. Campbell, please visit our Heartfelt Sympathies Store. The Juniors Volleyball Academy Family, Rosalyn and Joe Krzywiecki, and others have sent flowers to the family of Larry D. Campbell. The Juniors Volleyball Academy Family purchased the The FTD Cherished Friend Bouquet for the family of Larry Campbell. Everyone from our Juniors Volleyball family sends their deepest sympathies. You and your entire family are in our thoughts and prayers. We are so sorry for your loss and we want you to know you are not alone and we are here for you during this time of sorrow. 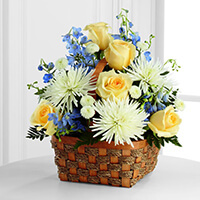 Rosalyn and Joe Krzywiecki purchased the The FTD Heavenly Scented Basket for the family of Larry Campbell. Superior Forge and Steel purchased the The FTD Eternal Affection Arrangement for the family of Larry Campbell.